Mr Keyamo earlier said that in 2008, recession was averted because Nigeria had a strong foreign reserve when former President, Olusegun Obasanjo left office. “We couldn’t avert it now because at that point, our foreign reserve was (depleted),” he said. He had also defended the president’s delayed appointments of ministers by saying “the ministries function without ministers. That’s the truth. I have not seen anywhere in the world where you say the pertinent (programmes) of government do not function with the normal bureaucratic setup. 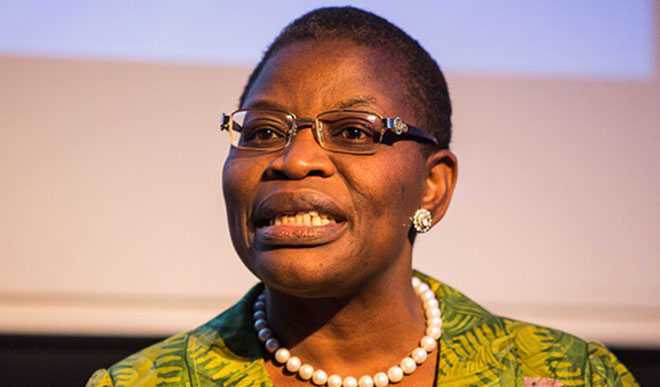 “Buhari’s failure to appoint ministers on time did not in any way affect the economy of the country. Ministers are political heads of bureaucracies and the facts that you don’t appoint the heads of the bureaucracies doesn’t mean they don’t function,” he claimed. He further made reference to a World Bank report in 2017 which said Nigeria was one of the best 10 performing economies in the world. “At the end of the day, what matters is the result you get from the monetary policy,” he said. 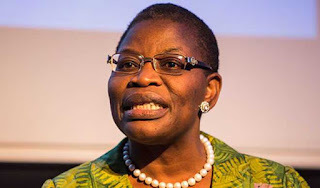 Mrs Ezekwesili, however, blamed the president for not averting recession when it was inevitable. “At the time that they could have averted, recession was not inevitable. But if you did the right economic policy at that time, you would have averted the recession. Many other oil producing and exporting countries managed to avert recession. “We might be out of it now but it had a huge effect on populace. When you have the kind of shock that the combination of oil price collapse and poor economic response to it occasioned, you would have dropped manhy more of your citizens into poverty. The last data of poverty rate from NBS is about 60 per cent. “What the problem is, is that usually when you have such kind of collapse, you adjust, you adjust as an economic policy approach, in order not to get you to the deep end that we eventually found ourselves,” she said.